Camping in Ladakh is an exhilarating adventure of a lifetime. Imagine being in the lap of nature, surviving toughest weather conditions and having a number of experiences that you will never forget. Pitch your tents, sleep under the stars, take a break from the city bustle and find the inner peace you were looking for. Settled on an altitude of 11500 ft. above sea level, the 'Land of High Passes' gives an opportunity of camping like never before. Are you up for the adventure? 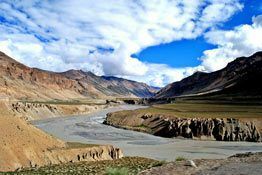 If you are planning a camping tour to Ladakh, here is complete information about campsites, where to set your own camp, things to pack, tips and things to know before camping in Ladakh. Ladakh offers an unrivalled experience of camping. You can choose from self-camping to staying at campsites. Both these options come with their own pros and cons, therefore you must have proper research behind your decision. Self-camping in Ladakh is amazing but there are cons. From the entire hassle of putting the camp up, concerns related to washroom facilities, sundries, food and carrying the entire stuff along with you. While, staying at a camp site will avoid you all this hassle. Also, while you are on your own, you have the freedom of choosing any site but even then there is the hassle of defence from wind, wild animals and concern for safety. A campsite solves the concern of safety and help from the camp organizers. Set in beautiful locales of Ladakh, the campsites come equipped with all the amenities a traveler requires to have a memorable experience. The highway from Manali to Leh is scenic and thrilling and also one of the popular camping sites in Ladakh. Popular for adventure-filled road trip, it is ideal setting for camping. Pitch your own tents closer to a Dhaba or another tent while on the road trip or stay at one of the campsites in Sarchu. 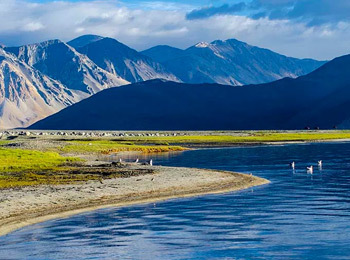 Nubra Valley is one of the best locations for camping in Ladakh. There are camping sites near the Hunder Sand Dunes or you can definitely find a spot to set up a camp. However do not set up a camp in middle of nowhere, stay close to or within one of the villages. While you are camping, stay close to your tent at night and do not wander out alone after its dark. The alpine desert is one of the best campsites for camping in Ladakh. Nothing beats the blissful experience of camping along the Pangong Lake. It is immortalized by Bollywood movies, documentaries and by almost every traveler in the 'Land of High Passes'. In fact it is not wrong to say it is one of the best camping sites in Ladakh. There are a series of camping sites as well as spots for self-camping along the beautiful lake of water reflecting myriad shades of azure. The camp site offer Chadar tents with basic facilities for the guests. If you love to enjoy camping on your own, then find a spot at the edge of the campsites where you can be close to the lake as well as the facilities of planned camping. 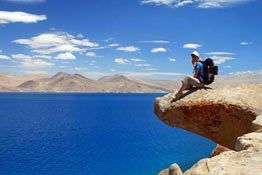 The beautiful lake in Ladakh, Tso Moriri is one of the scenic places for camping one must check-out. The campsites have all the needed facilities whereas while self-camping, you will have to speak to the locals first before setting up because most of the land around the lake belongs to the villagers. Also if you are on your own, first learn about the wildlife and the precautions to take while camping with your own gear. Ladakh is gaining attention for not just its natural camping excitement but also for its luxury camps. 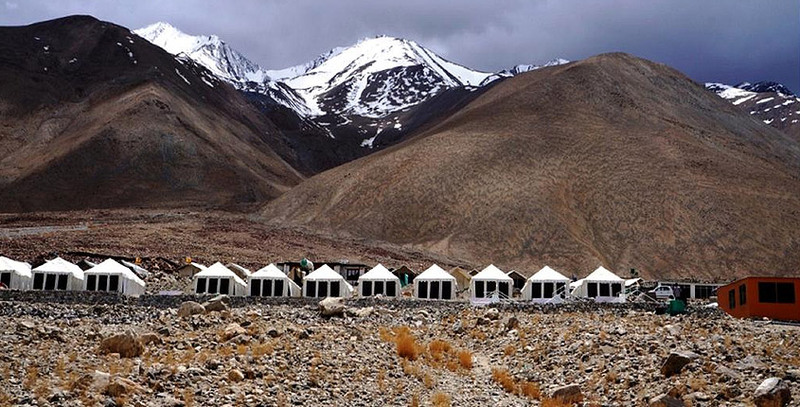 Luxury camping in Ladakh, known as glamping is now what every travelers in the "Land of High Passes" want to experience. These luxury camp sites combine the incredible fun of camping with modern 5-star amenities making it an experience of a lifetime. From warm tents, Persian rugs, 3-course meals to incredible views, luxury camps in Ladakh offer the best of it. You are sure to have unforgettable memories. 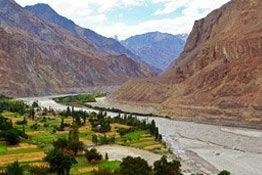 Water: Since dehydration is the reason for health issues at such a high altitude, the basic requirement of camping in Ladakh is to carry sufficient water or camp along the shores of a lake, river or near a village with water. 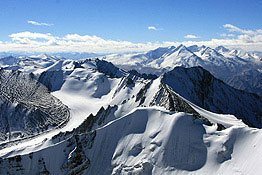 Medicines: The high altitude and tough conditions of Ladakh might cause a number of health conditions, therefore while camping, you need to be prepared with immediate medical-aid in form of medicines. Carry Diamox for Acute Mountain Sickness AMS) and doctor prescribed medicines for headache, fever, stomach ache, cold and cough syrup. Sunscreen lotion & UV Sunglasses: To protect yourself from UV rays at high altitude, a good sunscreen lotion and sunglasses are needed. Carry a good quality sunscreen lotion with rating of SPF30 or higher and apply it properly. Mustard oil: Mustard oil must be put on the packing list for camping in Ladakh. It can be used for moisturizing skin, putting it in your hair and for lubricating insides of nostrils, which can become quite dry and painful due to dry and cold winds of Ladakh. Glucose, Chocolates, biscuits and nuts: While camping in Ladakh, you must have Glucon C/D, chocolates, biscuits and nuts in store. These items provides instant energy on the move and when staying amid nature's lap will become the source of nutrition. Those who love spicy food, make sure to carry pickle or sauce, since Ladakhi food is a bit bland. 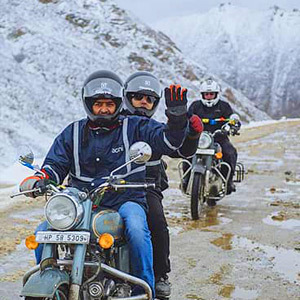 Clothes: It is best to dress in layers in Ladakh. The high altitude, chilly winds and the low temperatures can change rapidly depending on the place, time and weather. To combat the situation, it is advisable to be dressed in layers, so that you can add/subtract layers as and when needed. Apart from your regular cloths, carry sweaters, gloves, cap, warm inners, and if possible, air/water resistant jacket. Documents and IDs: Carry at least one government issued identity card and couple of photocopies of it, since it is needed while applying for inner line permit and at certain places, to register at the check post. Also, carry Map of Ladakh, your printed itinerary, couple of copies of your flight ticket (if traveling by air) and list of important contacts (useful in case your mobile phone stops working). Chargers for all the gadgets, cameras and mobile & power banks: While camping in Ladakh you will hardly get access to electricity, therefore carry spare batteries and power banks and getting then charged in Leh City. Money: While camping in Ladakh you will be far away from cities and ATM facilities, therefore carry enough cash you need. Plan a budget and carry accordingly and a little extra for unforeseen circumstances. The best time for camping in Ladakh is from May to October. From the month of May, snow dissipates from the ground, making it a suitable time to enjoy the weather and stay out in the open facing the tough conditions. And, as October ends, winter arrives in Ladakh making it difficult for camping. Rest of the year Ladakh is too cold for camping. How much budget is required? You can plan the budget for camping in Ladakh. The region has luxury camps to budget campsites and you can book accordingly. Luxury camps look after your every need. Once you book you will never have to worry for anything. From pick-up, transfers to sightseeing, everything will be pre-arranged for you. Budget campsites in Ladakh offer the required facilities at an economical budget. Self-camping is by far the cheapest. You can cover the self-camping tour with minimum expenses to get the camp location, food and fees (when and if required). But, even then you can pre-book campsites and get a good deal with tour operators offering camping in Ladakh. Stay clear of restricted sites or wetlands to choose the location for camping. Choose a campsite close to a lake, water stream or village. In case of building a bonfire, ensure you put it off completely leaving no ambers after you are done. Acclimatization is a key factor for camping in Ladakh; therefore keep warm and well hydrated while being out in the wild. Do not harm the wildlife or the local culture in any way. Do not pollute the region, air or water. Do not leave waste behind but footprints of the wonderful experience of a camping tour in Ladakh.